Forged aluminum, machine cut body / sideplate. Forged aluminum, machine cut Cyclonc Flow rotor. 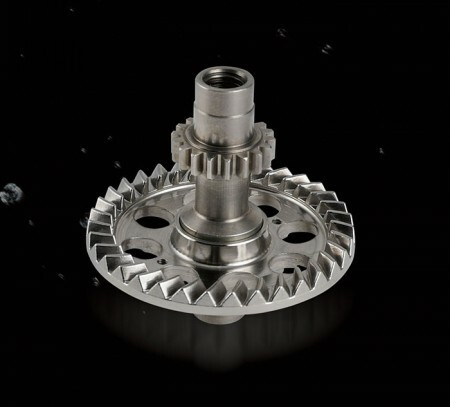 Forged stainless steel main gear for ultimate power and strength. Precision machine cut 17-4 grade stainless steel pinion gear. Oversized 17-4 grade stainless steel spool shaft reduces flex. Hydro Sealed Body and DFD system for maximum protection. Carbonite high output drag with Cal’s drag grease on full DFD. Customized pre-set drag system, works like a lever drag reel. 9HPB + 1RB corrosion resistant stainless steel bearings. Dual anti-reverse system for maximum strength and reliability. Quick-Set stainless steel German anti-reverse roller bearing. Machined aluminum, 2-tone anodized spool with LCS lip. Machined aluminum screw-in handle arm for added strength. Right and Left handles are designed differently: Order by Rt/Lt.. Heavy duty, solid aluminum bail wire with manual trip function. Rotor brake system works in conjunction with manual bail trip. Machined aluminum handle knob: Custom options available. 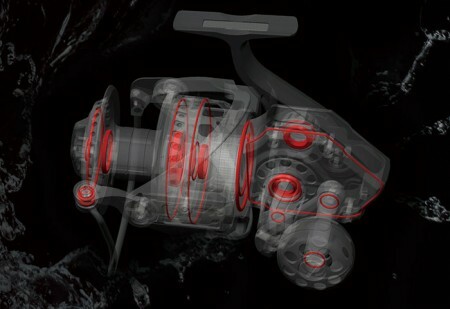 This special pre-set function sets the Makaira apart in this category of reel. Just like the Makaira lever drags, the Makaira spinning reel DFD comprises a wet Carbonite drag system featuring Cal's drag grease for low start up inertia and extreme heat protection. 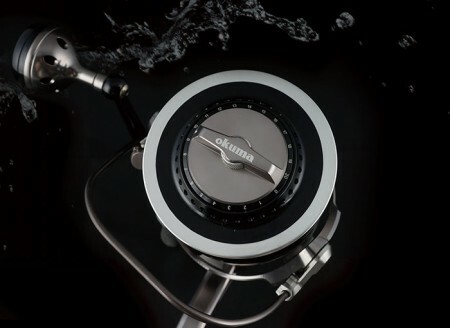 Makaira spinning reels are engineered to withstand the most brutal conditions the ocean can offer. To accomplish this, we equipped this series with 23 different oil-retaining o-rings and gaskets. Our engineers made this reel impervious to the elements, and by making it water tight, all the internal mechanisms are sealed and protected from salt. The result is the best-of-the-best when it comes to big game fishing reels. When our engineers set out to build the ultimate big game fishing reel, the starting point was the housing. 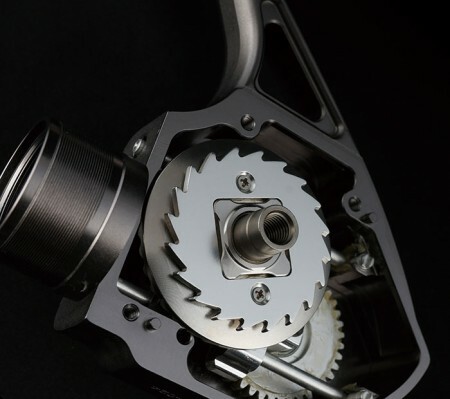 In order to build a reel with no compromise, we constructed the frame, sideplate and rotor of forged aluminum. The reason we did this was that we wanted to ensure stability, consistency and ultimate strength. There are no diecast or injected carbon parts on this reel. 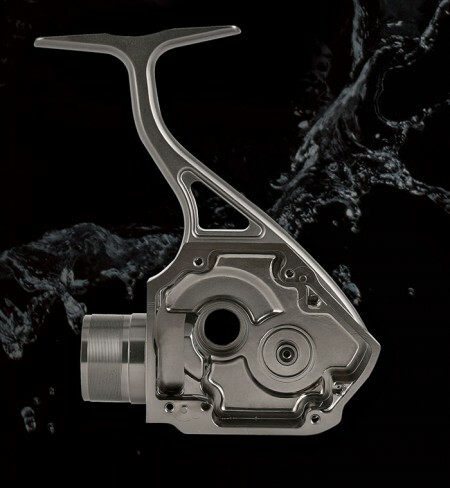 There are machined aluminum reel on the market, but our forging process prior to machine cutting takes the Makaira to a completely different level of product performance. Our engineers even included our Cyclonic Flow Rotor design into a forged machine cut platform which promotes increased airflow and drying time of standing water. When designing the ultimate big game reel, we wanted to make sure we had all areas of the design covered. The last and final design element that we included was in the design of the actual handle. Most spinning reels can easily switch the handle to change the retrieve direction. The problem with this if you have a screw in style handle is that the threads are not the same diameter for both left and right hand retrieve. One side has to be smaller in diameter in order for this to work. In our quest to build the ultimate reel, we did not want to compromise on this point, so we made the decision to have separate handles for both left and right hand retrieve. This ensures that regardless of handle retrieve direction, there is no sacrifice in strength. We feel this is a minor inconvenience in order to offer a stronger and more durable platform. If a charter boat needs a reel with both retrieve directions, all you have to do is order a second handle.